"If he runs a marathon now, he won't be able to run in any indoor meets. It's going to take a long time to recover. We wouldn't be able to get back to work on his speed until March or April." - Alberto Salazar talking about why his star pupil Galen Rupp will not race the Olympic Marathon Trials next weekend. Don't forget to change your picks in the LRC Puma Marathon Trials Prediction Contest . Why do elites wake up early to train? Galen Rupp Says He'll Pull Out Of Olympic Marathon Trials We're sure many Olympic hopefuls are breathing a huge sigh of relief as the debate as to whether Rupp would run, rabbit if he did start or go all out is over a week before the starting date, as his coach Alberto Salazar wants him to work on his speed by racing indoors. We'd argue that by training for the marathon and getting stronger, Rupp just did a ton for his speed. Kudos to Rupp to not waiting until the last minute to decide. 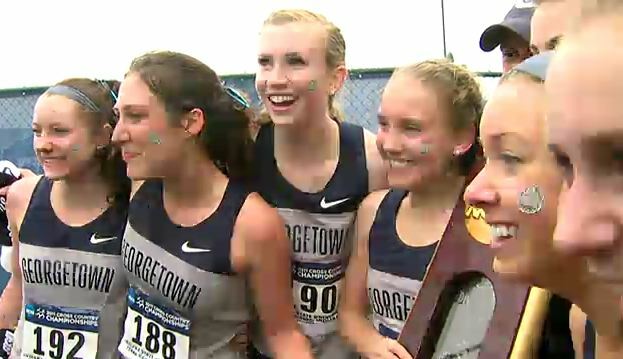 Rupp: "It would be difficult to do all the speedwork for (the 10k), and still train for the marathon." Ryan Hall Blogs On Training The Last Two Weeks Before A Major Marathon Hall's thoughts 3 days before Boston: "I am so screwed." Need Help With Your LRC Puma Prediction Contest? : Olympic Marathon Trials "Cheat Sheet"
Who's Going to Win the Trials? Poll Results From Some Experts Didn't really need to ask the experts to choose the top 3 favorites. A Brief Update From Meb He says that if he's not in the top 3, he will run some track races in the spring but the Trials could be his last marathon. He says this is his almost certainly his last OT marathon. RR: Profile On 1:05:00 Half Marathon Runner Tommy Neal, Who Was Diagnosed With Type 1 Diabetes Just A Month Before The Trials On moving to Colorado to train he said, "I pretty much moved out there in a leap of faith. I had no job, nowhere to live, and I knew one person who I had met one time, and I was living in his apartment because he let me while he was out of town." Who Are Some Of The "Underdogs" At The Olympic Marathon Trials? This article highlights a few who are definitely not outright favorites, but definitely threats. 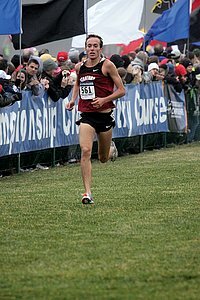 Training Update From US World Championships Marathoner Mike Sayenko More updates on his site here. Interviews With Men's '88 / Women's '96 Surprise Marathon Trials Winners, Mark Conover And Jenny Spangler Spangler: "After I had been in the lead for a few minutes and no one had caught up with me yet I remember panicking for a minute and thinking to myself, 'What do you think you are doing? 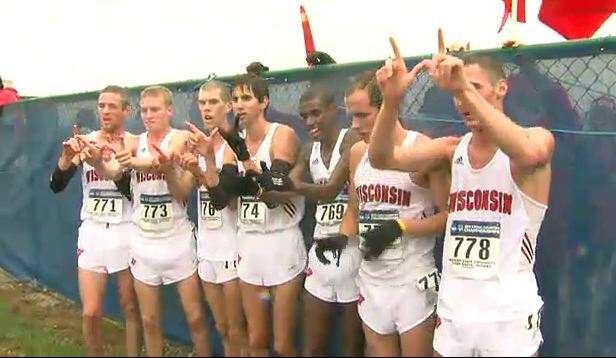 You are leading the Olympic trials marathon!!'" Injury Hall Of Shame / Galen, Pay Attention: Meb's Foot Became Infected Because He Ran The Entire NYC Marathon With Breathe Right Nasal Strip In His Shoe The last thing out of Meb's shoe normally is the nasal strip but in mile one he realized it wasn't on his nose. The good news is Meb is now recovered and talking confidently about his chances. 5 Questions With US 25k Record Holder Fernando Cabada, Who Talks Very Confidently "If I was to run a 2:08 on January 14th, that wouldn't surprise me." A Brief Chat With 2:11 Marathoner Nick Arciniaga, Who Sounds Upbeat But Admits Brett Gotcher Has Been Beating Him In Workouts Arciniaga is on the comeback from a hip injury and seems upbeat but admits his training partner Gotcher has actually been "a lot more fit than I have been." A Brief Chat With Kevin Hanson 4 years ago, Brian Sell surpisingly made the team. This time, Desi Davila is expected to make it for Hansons-Brooks. Brent Vaughn Says He's Enjoying Running More Than Ever And Is Upbeat Now That Stomach Issues Are Behind Him "I have enjoyed running more than ever before. I have big dreams going into next weekend, no different than most men who will start the race." MB: Why is Scott Bauhs running the Houston half marathon on Sunday instead of the Trials Marathon on Saturday? Yet Another Sub-4 Mile Took Place At New Year's Millenium Mile In NH That's #24 in the race's 13-year existence (it is downhill). Asbel Kiprop Makes A Statement As Kenenisa Bekele Finishes A Distant 11th At BUPA Great Edingburgh Cross-Country Kiprop, the Olympic 1,500 champion, cruised to victory over the 2008 Olympic steeple, 5k and 10k champs, and showed he's intent on being the first since Seb Coe to defend an Olympic 1,500 title. European XC champ Fionnuala Britton won the women's title. *American Dominates Jr. 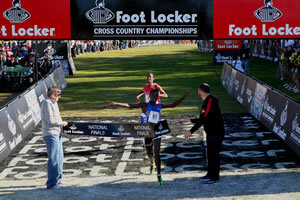 Boys Race Oklahoma State's Kirubel Erassa, who ran 14:19 in HS, won easily. 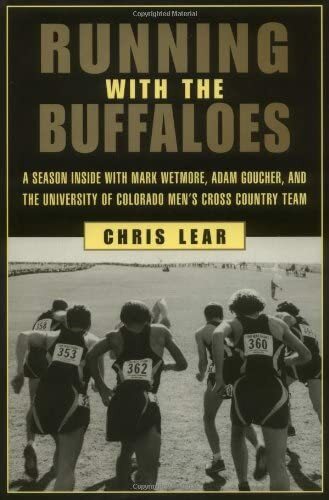 *MB: Alan Webb running better than Bekele *Jr. Race In Edinburgh - (America? )/OSU Guy Dominates!!! 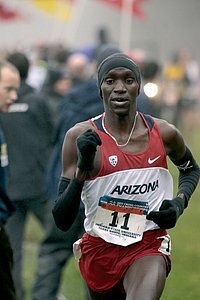 2010 World XC Champ Emily Chebet Wins Last Meet In Kenyan XC Series All Africa Games 10k silver winner Bedan Karoki won the men's race; Kenyan national 10k champ (and 6th in Daegu) Peter Kirui was 6th. Second HS Texas PVer In A Week Over 17-6 Shawn Barber US#1 17-6.5 (=#2 all-time). Kenyan Peter Kamais Wins Xiamen International Marathon In A CR 2:07:37 Ethiopia's Ashu Kasim won the women's race in 2:23:09. Michael Johnson Speaks Out Against "Plastic Brits" "It's hard to believe it when athletes who have tried to represent their country and couldn't make that team turn round and claim that all along they wanted to represent Great Britain." Kenenisa Bekele Says He's Not Afraid Of Mo Farah And Wants To Be The First To Win 3 Olympic 10k Titles He says he's not sure if he will also double with the 5k. And a note that you can never trust the media, as this article makes it sound like he's not sure if he'll race the Olympics at all. Interesting Analysis Of How Top Japanese University Teams Compare To The Top Teams In The NCAA Basically, as far as 5k PRs go, the US is stronger up front (13:30s or faster), but Japan is much deeper in the 13:40-50 range. IAAF Preview China's Xiamen International Marathon Defending champ Robert Kipchumba (2:08:07) is up against a slew of sub-2:10 runners, including Alemayehu Shumye (2:08:46) and Albert Matebor, who ran 2:05:25 for 4th place at Frankfurt. *Jessica Ennis Says She Doesn't Think She's Attractive She also says she's embarrassed that "Jessica Ennis bum" was the top search for her name on Google. Asafa Powell Says If He Can Stay Healthy He Thinks He Can Beat Usain Bolt "Over the years, before everyone came on, I was the only one out there running very fast. I got quite comfortable, and it became a habit for me to slow down before I get to the finish line. I need to just power through." 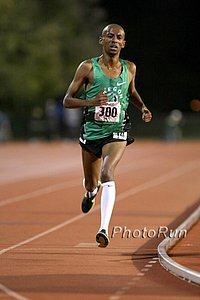 LRC Support The Sport Of Cross-Country And The Bay Area Track Club - Run In 2nd Annual Bay Area Cross Challenge On January 15th 3:54 miler David Torrence is involved in the event and has offered LRC visitors the opportunity to save $15 by typing in "resolution" to the checkout box. This Should Be QOD - "Two Male Crabs Cannot Live In The Same Hole"
Former World Champ Kim Collins Thinks There Is No Way Yohan Blake & Usain Bolt Can Train Together With Same Coach Long Term "The idea of Yohan Blake being the man to beat Usain Bolt sounds good on paper. This, how-ever, poses a problem. Two male crabs cannot live in the same hole."